Hindaun City, a historically significant city, belongs to Karauli District in Rajasthan State. In the recent time the city is known for its sandstone industry and well developed infrastructure but the city also has very close association with all phases of Indian history. Hindaun, a city located in the eastern fringes of Rajasthan State, is also famous for its special sweet “Moong ki Barfi”. Land of Hindaun has many legends associated with it and the legends date back to the time of Puranas. Lets try to know about the historical significance of this small city of Rajasthan. Hindaun holds an important place in the Hindu Mythology. According to the legends, this land is called the land of Hiranyakashyap, a demon king. Hiranyakashyap was father of Prahlad, an ardent devotee of Lord Vishnu. It is believed that Hindaun has its name originated from the name of the mighty demon king, Hiranyakashyap. The legends of King Hiranyakashyap and his son Prahlad have been mentioned in the Bhagvad Purana. This city was the capital of Hiranyakashyap Kingdom. That is the reason why this city is also known by the name, “Hiranakus ki Kher”. Here the word ‘Kher’ mean capital. Numerous monuments present in this area depict that the city was associated with King Hiranyakashyap and his son, Prahlad. Prahlad was a keen devotee of Lord Vishnu though in the kingdom of King Hiranyakashyap worshipping of Lord Vishnu was strongly prohibited. With the help of his few ministers and his sister Holika, Hiranyakashyap tried to kill Prahlad but he did not succeed in doing so. Prahlad was kept in a chamber of poisonous snakes so that he could be bitten by them; he was thrown in front of a mad elephant and Prahalad was also thrown from a high mountain. The last attempt to kill Prahlad was taken by Prahlad’s aunt Holika and she took Prahlad in her lap and sat amidst of flames but again Prahlad was saved by Lord Vishnu and Holika got burnt. At last King Hiranyakashyap was killed by Narsingha Avtar (an incarnation of Lord Vishnu). 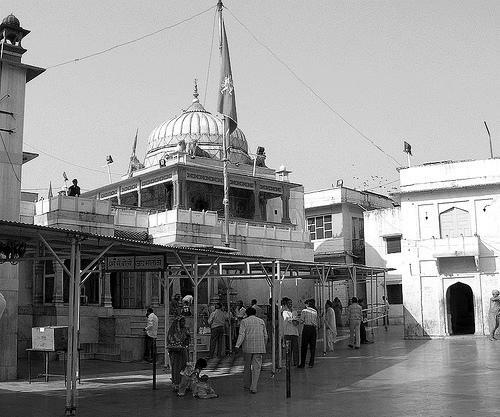 Many sites and monuments of Hindaun still bear the witness of its association with Hindu legends. These sites and monuments are Prahlad ka Mandir, Dhobi Pachchad, Nrisingha Mandir, Hiranakus ka Mandir, though four decades back Rama Temple has been built in the place of Hiranakus ka Mandir. Hindaun is also associated with the era of Mahabharata. It is believed that the name of the city is derived from ‘Hidimba’, sister of Hidimb, a demon. The Kauravas had tried to kill the Pandava when they were staying in the Lakhagriha but the Pandavas managed to escape and they went into the then Matasya Kingdom, currently known as Alwar region. Bheema, one of the Pandava Brothers, met Hidimba when he was wandering in the Hiranya Karan Van or forest. Hidimba fell in love with Bheema and wanted to marry him. Hidimba’s brother Hidimb, a demon fought with Bheema but he got killed by Bheema. Bheema and Hidimba got married and they had a son named Ghatotkacha, who was a great warrior and died a heroic death during the war of Mahabharata. Hindaun was under the control of Matsaya Kingdom which had Meena Rulers. You will still get descendents of Meena Rulers in the areas around Hindaun. Many ancient architectural excellences are still evident in Hindaun and its surrounding areas. During the Rajput Rule, Hindaun was inhabited by the Jats who shifted to this area during the rule of a Rajput King prior to Maharaja Suraj Mal of District Aligarh in Uttar Pradesh. 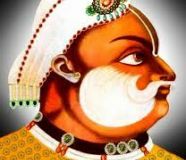 When the then Rajput King put pressure of the Jats to have marital relationship with the Muslims, they left their original homeland and settled in Hindaun area of Karauli District. Many Jats belonging to Hindaul Gotra are still found here. About 22 villages in and around Hindaun City belong to the jats of Hindaul Gotra. In the later years, Vahan Singh Hindaul, one of the powerful Jat warriors was given a land or jaigir by Maharaja Suraj Mal. 4 villages were founded by the four sons of Vahan Singh which are Man Village named after Man Singh, Diswar Village founded by Jivaram, Chuhara Village founded by Churaman, and Pithair Village founded by Vijayram.